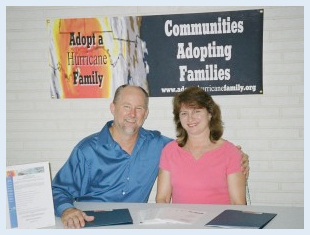 Crisis Housing Solutions (CHS) was founded by Craig & Lisa Vanderlaan as Adopt a Hurricane Family (AHF) on August 30, 2005, in response to the devastation wrought by Hurricane Katrina. After diligently working for 3+ years to assist disaster survivors of Katrina and Wilma with temporary & permanent housing solutions, AHF expanded its mission to assist those affected by any disaster – natural, manmade or economic. To learn more about Crisis Housing Solutions, please join the conversation on Facebook. Everyone has access to a safe, secure home in a vibrant, healthy community. August 2005 – began assisting Katrina families in South Florida. January 2006 – began working closely with the South Florida HUD office and their field director. March 2006 – led a multi-agency effort to get 93 Wilma families out of FEMA trailers in C.B. Smith & Easterlin Parks and into permanent housing. April 2006 – began working with FEMA’s Florida Long-Term Recovery Office in Orlando. November 2006 – received 501(c)(3) not-for-profit status from the IRS. June 2007 – began a 4-month collaborative effort for FEMA finding permanent housing for 170 families displaced by Hurricane Wilma; 54 of these families obtained new mobile homes. December 2007 – provided turnkey management of the Davie Mobile Home Repair/Replacement Program using $1,275,000 in Community Development Block Grant Disaster Recovery Inititiative funds for Hurricane Wilma relief. 73 families received new mobile homes over a 14-month period. May 2009 – applied for and received certification as a HUD Housing Counseling Agency. October 2009 – providing case management services as part of the Homeless Prevention & Rapid Re-Housing Program (HPRP) for Broward County and City of Ft. Lauderdale. February 2010 – as a HUD Housing Counseling Agency, began offering Mortgage Delinquency/Default Counseling as part of broader Foreclosure Prevention Services. April 2010 – began First-Time Homebuyer Program for Town of Davie. April 2011 – received certification for the Treasury Department’s Florida Hardest Hit Fund (HHF) Program; providing mortgage assistance to qualified unemployed & under-employed homeowners having difficulty making mortgage payments.  October 2013 – approved as a service provider for the Treasury Department’s new Principal Reduction Program; intended to assist homeowners underwater on their mortgages. July 2014 – approved for acquisition of foreclosed properties from the National Community Stabilization Trust.